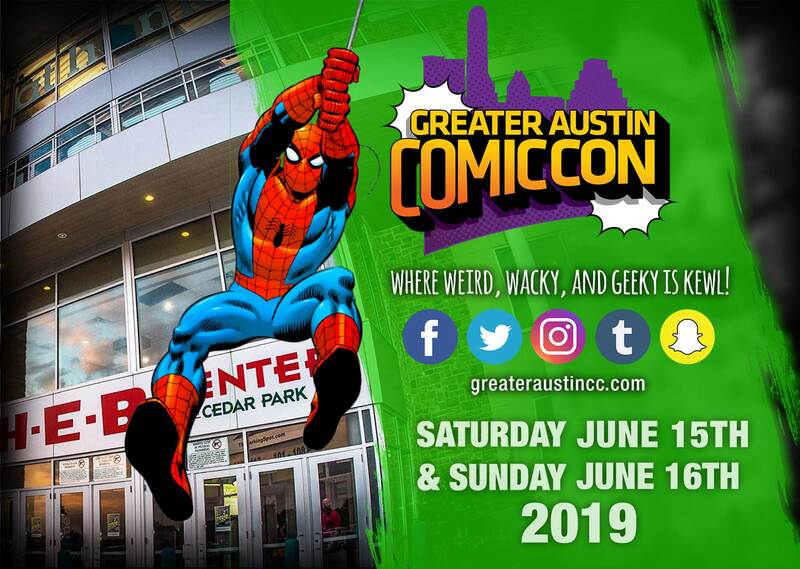 Due to popular demand, Greater Austin Comic Con (GACC) returns to H-E-B Center at Cedar Park on Saturday, June 15, 2019 from 10 a.m. to 7 p.m. and Sunday, June 16, 2019 from 10 a.m. to 5 p.m. GACC is a celebration that brings all things pop culture together. GACC will provide two family friendly, entertainment fun filled days of vendors, gaming competitions, cosplay contests, super hero theme car show, and lots of entertainment for kids. GACC will have guests that include movie& TV Stars, sports Stars, world renowned cosplay artists, game developers, comic book creators, artist/writers and so much more. Tickets on sale now! More information will be posted at www.hebcenter.com and www.greateraustincomiccon.com, as it becomes available, or follow @GreaterAustinCC Facebook, Twitter, Instagram, Snap Chat and Tumblr. Specialty Greater Austin Comic Con bags are available for purchase on the main concourse.